Sally Lunns Tea Shoppe and Restaurant has now been in business for 30 years, eighteen of them in Chester NJ. They are still serving up the best homemade pies, pastries and desserts that you could find anywhere in the State and their mouth watering buttermilk scones — the recipe still a secret — are as scrumptious as ever! NEXT WEEK! The famous annual Fall Craft Show is coming to town! September 12th & 13th. Relax your tired feet after shopping with a delicious home-cooked meal at Sally Lunn’s. 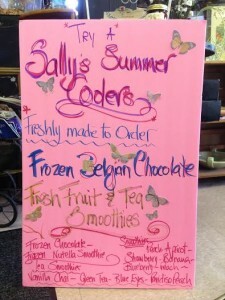 Offering fresh crisp salads, homemade pot pies & pasties, scrumptious desserts, cool fresh brewed iced tea, & our new smoothies. 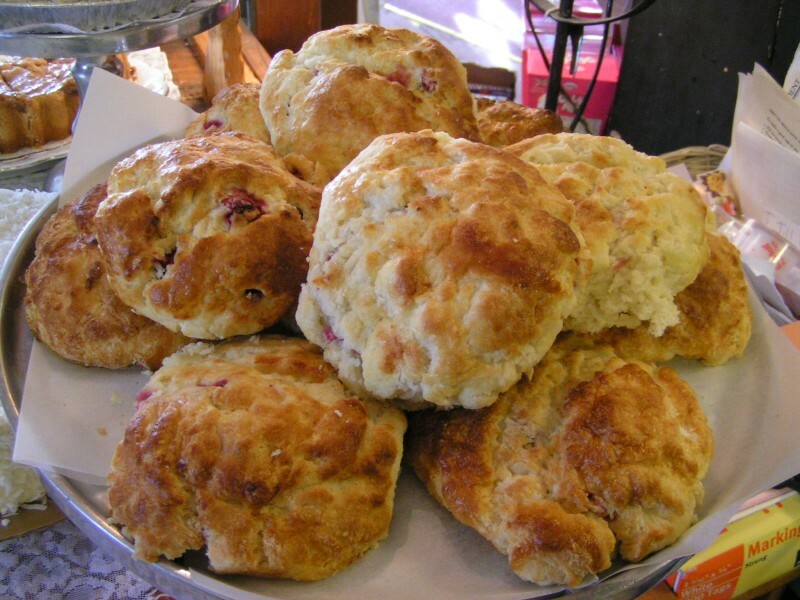 Save room for our fabulous scones served fresh with clotted cream & jam. 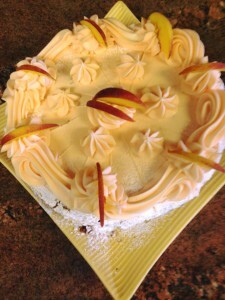 Scrumptious Jersey peach layer cake at Sally Lunn’s. Enjoy while the peaches are fresh & still in season. Coming Soon! All of your Fall favorite flavors including pumpkin, apple, & spicy chai. 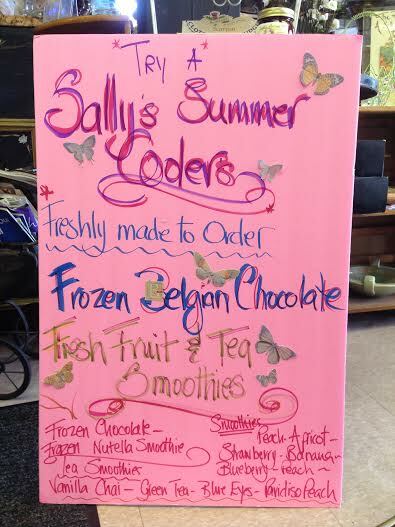 Try our Sally’s summer coolers while the weather’s still hot. If you are looking for a real treat and a meal that will truly titillate your taste buds then you can’t afford to NOT visit this wonderful little oasis of culinary delights! A Victorian Parlor filled with curiosities, fine bone china and anything and everything to do with tea, is where you will find your self. 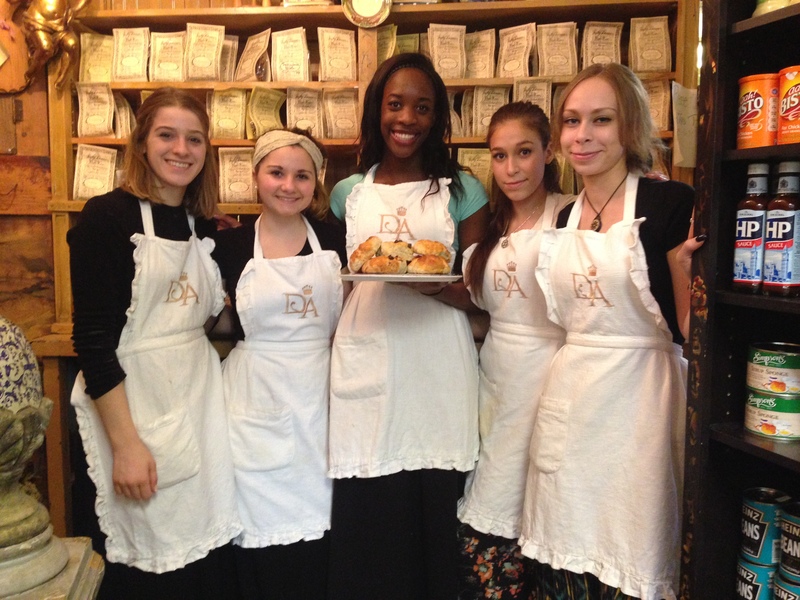 Some of our famous scones and friendly wait staff. There are over fifty flavors of loose tea and foods imported from England, and a large variety of food including sandwiches, Cottage Pie, Lamb and Beef pasties, piled high melts and fresh roasted meats all served on home style bread.